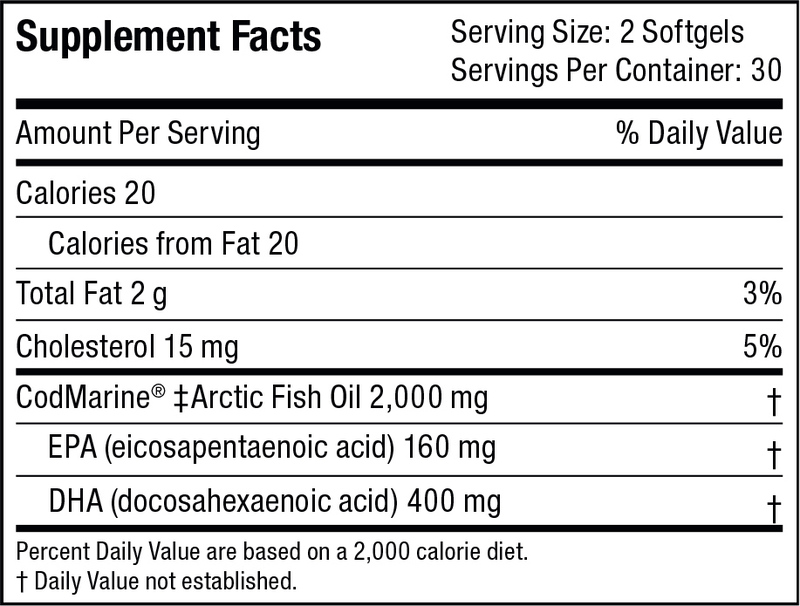 Our purest fish oil is unprocessed and in natural triglyceride form, which is easy to digest and absorb. Take 2 softgels daily. For best results, take with a meal. If you are pregnant, nursing, taking any medications or have any medical conditions, consult your physician before use. Store in a cool, dry place, away from the reach of children. DHA is essential for your little one’s brain and eye development from the womb up to two years of age(2)! Our natural fish oil is naturally high in DHA compared to most brands. Kuratko CN, Barrett EC, Nelson EB, Salem N. The relationship of docosahexaenoic acid (DHA) with learning and behavior in healthy children: a review. Nutrients. 2013;5(7):2777-810. Published 2013 Jul 19. Muldoon MF, Ryan CM, Yao JK, Conklin SM, Manuck SB. Long-chain omega-3 fatty acids and optimization of cognitive performance. Mil Med. 2014;179(11 Suppl):95-105.